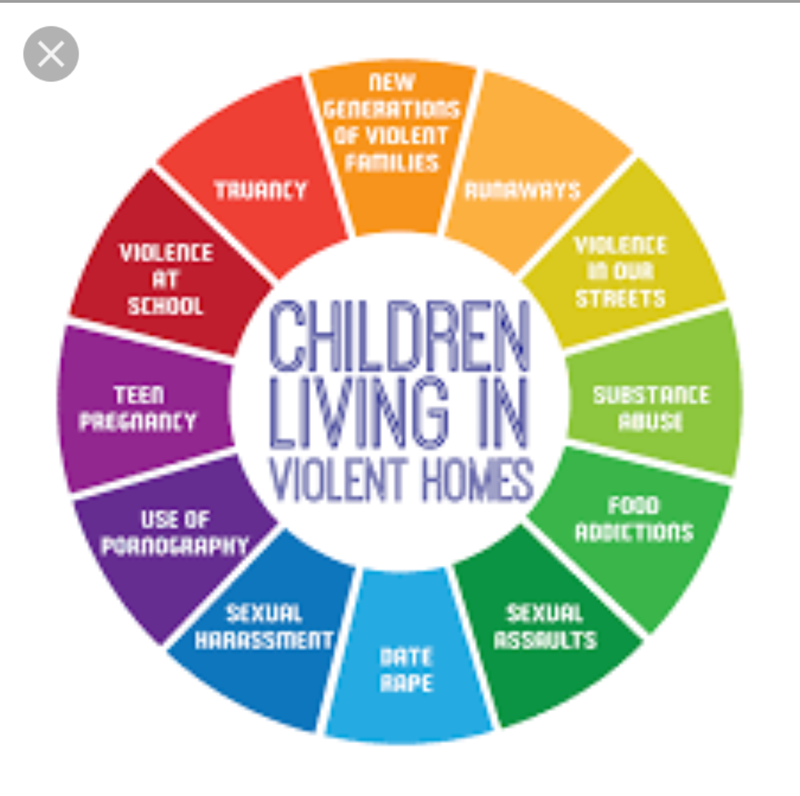 Children who witness violence in their home are often effected more than the actual person being abused! Little people learn by example and often mimic behavior they witness. When I was growing up I witnessed violence in my home! The crazy thing is, my mother was the aggressor. Once I got older I became the aggressor. Now that I am older, I realize aggression and violence is a cycle. Knowing that kinda forced me sit back and reflect on the history of my family, just so I can get a better understanding of possibly where it started; And now it’s clear! Hearing stories of how my grandfather used to beat on my grandmother meant nothing to me up until recently! This was the start of the vicious cycle of violence in my family. My mother used to hear and witness the violence as a child growing up and she eventually started fighting! I also witnessed violence, so I eventually starting fighting to resolve issues growing up and as an adult. I was a teen mother, I was fighting at school, I was smoking weed. I thought about running away, but mom dukes always put a halt to that. That’s 3 out of the 12 things in the cycle listed above! I would get in trouble at home and go to school and take it out on whoever said the wrong thing, hell even looked at me wrong! I am not gonna lie, I used to swing on my ex if I felt like he said something dumb or disrespectful to me or around me. The sad thing is sometimes I did it in front of my kids. I used to do it because he wouldn’t hit me back. My boys never really had an opinion about it, but my baby girl, she was very vocal later on down the line. Once we separated and realized it was no longer about us, it’s about these kids is when the fighting stopped and arguing was at a minimum, at least in front of them. I will never forget when my baby girl told me “I am so happy you and daddy don’t fight anymore, mommy that used to break my heart” that is something that I will never forget. She told me she used to get nervous when she heard us argue because she didn’t know what will happen. My poor kids, but see I wasn’t thinking about my kids, it was all about me and that’s dead wrong. My children deserved and expected so much more from me and their father. At times, I let them down. I pray all the time that I didn’t damage my kids mentally and they do not continue this vicious cycle of violence in our family. The great thing is that my children are the most mild mannered children and they don’t show signs of aggression and any of the other effects listed on the cycle above. Thank you lord! When the tables turned and I wasn’t the aggressor and I was the person defending myself; I often wondered if that was my karma, my payback for all of my violence and fighting I did in my past. They do say you reap what you sow. Right? I said that to say, sometimes we stay in toxic relationships for the kids but in the end you are harming them more than you are helping them. Take heed and recognize it’s not all about you, you have little people watching! ← AUNTIE TARAJI SAID IT!